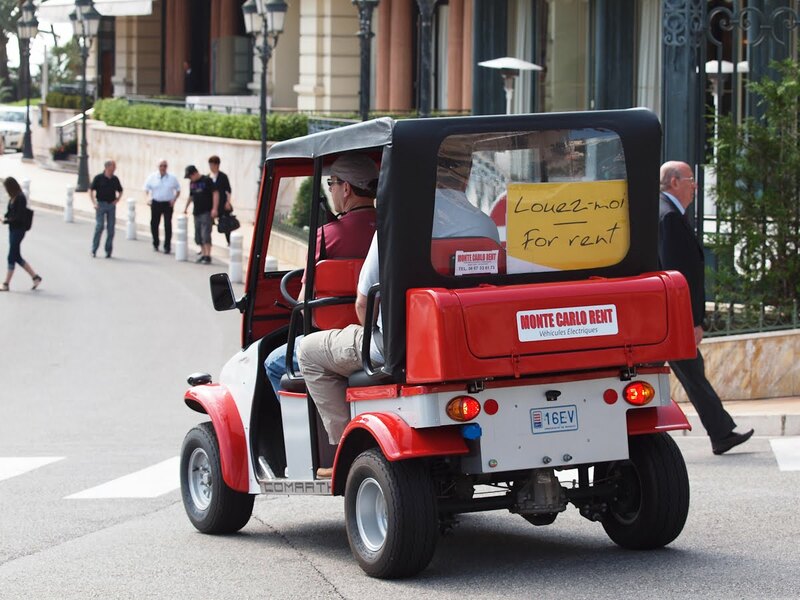 Monte Carlo Weekly Photo: Rent Me! Too funny but clearly not like driving a Ferrari. Next time we are in Monaco, instead of walking to the Casino I think we should rent this vehicle, pull up in front of the Casino, then I will step out in grand style, straighten my tie, help Julie out of her side of the car, flip the keys to the doorman and say, "be careful where you park it, and no joy riding." 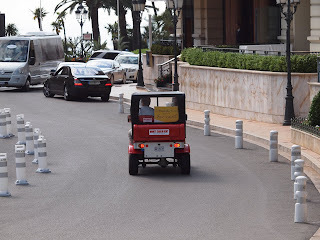 Unfortunately no Ferrari for moi! but this little red number would fit the bill!